It has been two weeks, much apologies for the delay, yet 'When You Call My Name' still hits hard when reflecting upon it. Bulshar has solidified himself as the meanest big bad we've seen yet following the sacrificial death of Agent Xavier Pamela Dolls. There was a sense his death would be coming soon considering how little developed he was over the past season, including not being in the group shot in the opening credits. Dolls was doomed since Wynonna had chosen Doc over him, and since we found out the baby was also Doc's, but that did not make Dolls death anymore shocking. Before reaching this emotional moment, 'When You Call My Name' started off as one of the most toughest case of the weeks we had seen yet. 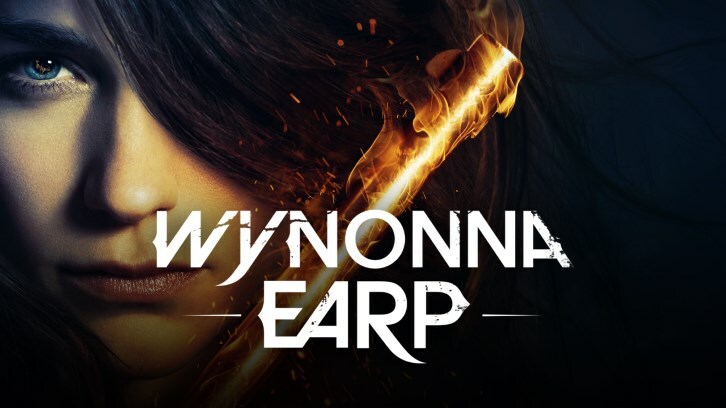 The episode opens with Wynonna trapped on a cliff, delusions of her mother urging her on, as we find out more about Mama Earp, or more like, boot camp instructor Earp and her role in shaping the sassy, tough as nails Wynonna we see today. Meanwhile, Waverly is taken to the abode of a creepy hunter demon, who entraps her in a cage and takes her voice. This is a clever monster of the week speaking on how much Nicole and Wynonna have stripped Waverly of her ability to speak for herself with all of their lying and secret keeping. Nevertheless, Wynonna's intentions are good - she loves her sister to death and just wants to protect her. We see that in her persistence, pulling through the pain and using her love and desire to get Waverly back as her motivation. On a side note, Waverly charading to her sister at the cabin was comedic gold. The humour just continues to be on point with this show and that is in large part due to the comedic chops of Melanie Scrofano and Dominique Provost-Chalkley. However, though this episode opened with and spent most of its time with the sisters, it ultimately ended up being about Dolls. His speech to Doc about how he doesn't need the threat of hell to do the right thing was extraordinarily impactful and foreboding. You just had the sense after this speech that something would happen to one of them, especially after reading the synopsis of the episode. Dolls would ultimately meet his demise at the end, the ultimate sacrifice after a life making many of them for the people he loved. Scrofano's reaction to his death was so raw. It speaks to the strength of the actress to give us such hilarious moments in this episode, but yet break our hearts as she reacts to this shocking loss. 'Colder Weather' took viewers on an emotional journey. It was a break away from any real plot to explore the effects of Dolls death on all of the characters. Waverly honours Dolls the best way she could as a planner, putting together his funeral and keeping herself busy in his name. Wynonna reacts in anger, putting the blame on poor Jeremy who kept Dolls secret to himself. Though at the funeral, all is forgiven in a sweet moment when she puts her arm around him. Of course, Nicole is the one to ground Wynonna telling her that she doesn't get to "monopolize on the grief we all feel." Doc grieves in his normal low-key way, though we know Dolls death hit him as hard as anyone, we see it when he comforts Wynonna, loving her - the one commonality he had with Dolls. There is also Dolls friend, Quinn, who drops by town. It would have been nice to had kept things self-contained amongst our core cast, I mean who really cares about some random new character when we are dealing with the death of a core character. Though Quinn's appearance did shed some light on Dolls past before putting closure on his character, and it is likely not the last we will see of Quinn. Overall, "When You Call My Name" put a shocking end to an increasingly irrelevant, but still, very likeable character in Dolls. 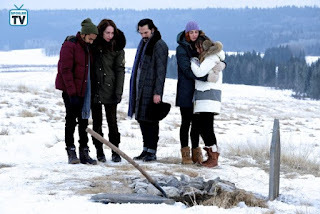 It was heartbreaking and the writing and raw performances over those final moments, and then through the somber 'Colder Weather,' had completely changed the landscape of 'Wynonna Earp.' It will not be the same without Dolls, but as Wynonna tells her little sister, the only choice we have is to just live. 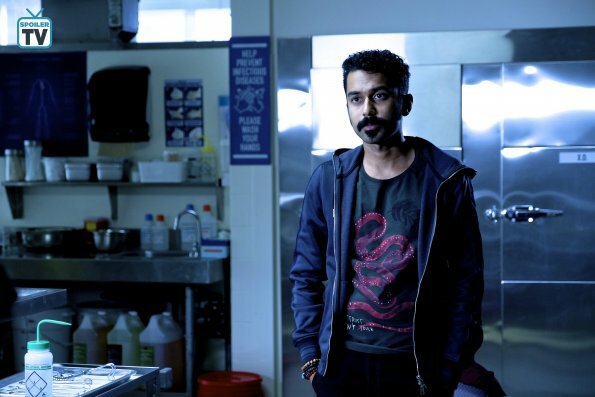 What did you all think of Dolls death and the events that unfolded in in 'Call my Name' and 'Colder Weather?' Leave your thoughts in the comments below!